Flomaticc (Born April 20th 1988) is an American Recording Artist, Songwriter, Record Producer, Cinemaphotographer, Entrepreneur and Game Designer from the rural area of east Texas. He is currently producing music & Film directing for six9music.com; Working on Six9’s projects alongside popular producers and audio engineers such as; Shawty Redd, Seth Firkins & Metroboomin. 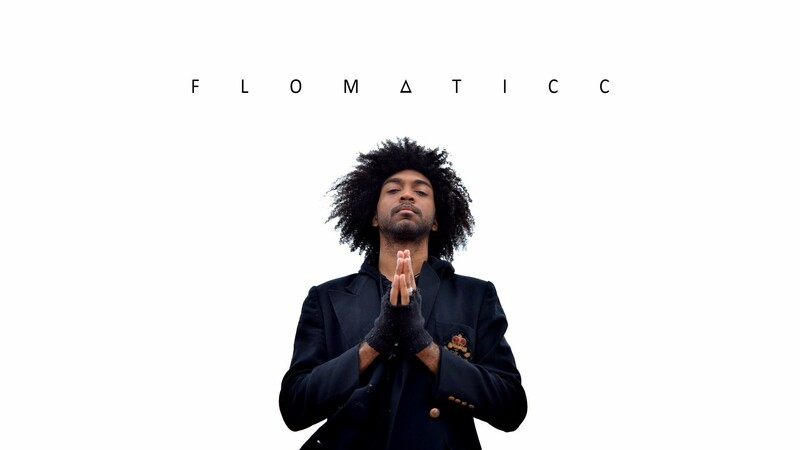 Flomaticc’s style of music production blends classical contemporary techniques with Alternative Hiphop Compositions. ​His influences include 1980s R&B, House pop, trip hop, Hard Rock, folk,alternative, electronica, synthpop, Rap, and classical music. Flomaticc has attended online classes at the gnomon academy school of visual effects. Flomaticc was raised in a trailer in the rural area of east Texas. He began rapping & singing in the 3rd grade. ​He traveled the state becoming involved in each cities music scene such as; Houston, Austin, and Dallas Texas. How could I only pick one or two genres? I desire to flow between them all freely. Showing bias to music is in itself disregarding of the character and master mind or driving force behind the sound. It is being unmindful and unappreciative to the maker. Music is life support and DJing is the deliverance. I remember when I was young I would record music on blank cassette tapes. I would attempt to make mixes that flowed from one song to another. I would sit there on the floor of my parent's apartment next to my boombox for hours. I recorded it. I remember I'd attempt to remix Sega Genesis music with Christina Aguilera and then I would try to spin that into heavy metal music from a cd I found at a thrift store. I was 10 years old, ambitious and firing in all directions. I laugh at those days that seem like yesterday. Now atlast, I have arrived at my destination as a EDM DJ/producer. I've experienced my fair share of failures that have sculpted me into the artist I've become. My purpose is to leave listeners inspired and filled with emotion. If you cannot feel the music I'm producing then I have failed you. My inspirations come from society and culture so in a way it's like the listener is the accomplice to my works. I am very grateful to each and every fan I have accumulated through the years. Feel free to explore, experience and share my work. It is my gift that I am truly passionate to give.